For four decades the name Gotti has been synonymous with organized crime in the minds of the public, who were told stories about them with varying degrees of accuracy. But now in “Shadow of My Father,” the real story of the King of the Volcano is revealed for the first time. John A. Gotti, who survived four trials and a parole violation hearing, in four years, without a guilty verdict, now takes up his pen to tell the story of his father’s unwavering dedication to the street, and how, as his son, he entered that life, and then, with his father’s permission, left the life of crime, and put the “Family” behind him to live a legitimate life with his real family. It is a saga of betrayal and redemption, and an insider’s view of how, at times, those who are tasked with upholding the law readily broke it to further their careers. For what it’s worth: many people have their opinions of what you’ve done, what you’re doing, or what you’re not doing. You may as well make money (the legal way) however you can. They’re not going to feed your family or pay your bills. Besides, you can’t shame your family by living a clean, legitimate life. If you can legitimately make money off the mob, then more power to you! I know I am. I know that if there were more people around like john gotti, neighborhoods would be safer! It’s my understanding that the paperback version will be coming out soon. 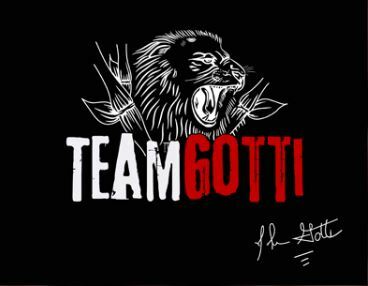 Would love to know if Mr. Gotti will be doing a book tour and if I could get an autographed copy of the book. Thanks! I have followed the Gambinos since the 1980s. I introduced my daughter to this magnetic family and your father was the main reason. His whole persona symbolized a life that intrigued me to no end. I read and watched everything I could get my hands on. I mourned when Mr Gotti received his life sentence. I felt it was the end of an era. I read your book and it brought back times that I remembered happening. Your book offers the behind the scenes I wasn’t privy to before. It filled in a lot of missing pieces. Thank you for igniting that fire in my interest once again. This time around, it’s more than just brotherhood and loyalty that attracts me. It’s your way of carrying yourself in difficult times and being your own man. This book will have a place on my bookshelf and will be reread over and over. I visit NY occasionally and to shake your hand one day would be quite an honor. Great job on the book. We did time together in Raybrook. I a Joe LaFatta. I to recently wrote a book and mention you in it. My book is called Dirty Money and if you look at the books people bought that also bought yours mine is listed on your page. I was shocked to hear that your proffered but then realized you didn’t hurt anyone so how bad of a proffer could it be. Please take a look at my book and let me know what you think. I always respected you for the way you handled yourself when I was with you in the FEDS. I wish you all the best. First off thank you for purchasing the book. 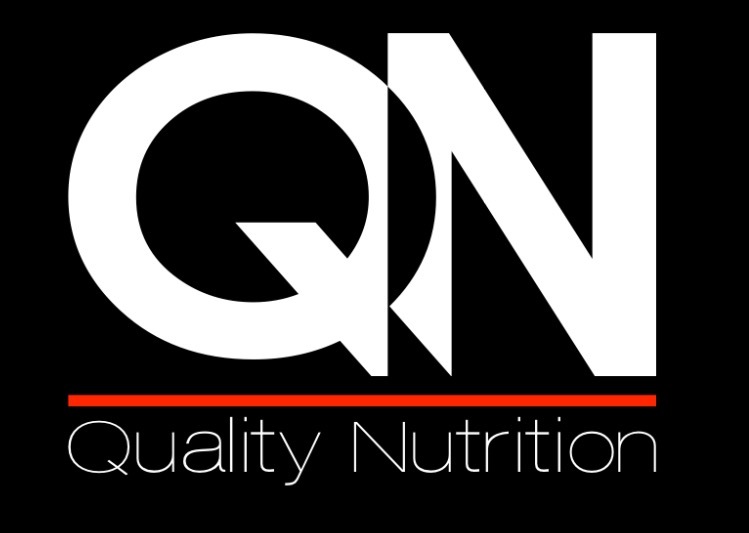 The second we work out a signing schedule it will be posted to the site. I met your dad on Mott and Bleaker st some 25 years ago. Great man! My cousin in Arthur “Artie” Nigro. I am sure you or your dad knew him. Your dad did a lot of good, which was always pushed aside by the persona they painted of him. I just ordered the book. Can’t wait to read it!!! God bless you and your family, and good luck in the future! Thank you for this book. I wish you and your family much luck in the future. And as courageous as you were in holding to your principles and dignity when everyone tried to destroy them and you, you have my condolences for what you and your family went through after you made your deal. Damn them. I saw that you were on Coast to Coast Am with George Noory. In many ways I am very connected to that show through my friendship with Dr. J Andy Ilias. Dr. J is the associate producer for legendary late night radio show host Art Bell. In fact Art Bell had over 15 million listeners on over 500 affiliate stations worldwide every night. Art is the creator and founder of Cost to Coast Am. Do you have a contact email or number that I can call you about regarding you appearing on the radio with Dr J? Thank you so much for your help. I admired your father and even wrote to him sending a SASE hoping to get a reply/autograph. When he passed, I felt your loss. Went to church, lite a candle and said a prayer for your father. It would be an absolute honor to attend a book signing and shake your hand. God bless you and your family, and continued success. BTW….we share the same BD. As someone who spent time incarcerated, please know that it was the prison that returned the SASE and not Mr. Gotti. Stamps and envelops are something that could be purchased from the prison commissary so they do not allow it to be sent from the outside. I’m sure Mr. Gotti appreciated your letter. I just became a Triple Amputee and spent two months in hospital. I am 30years old from Boston. This book was an inspiration, Kept me Strong and Helped me through my amputation and hospital visit! Im about to purchase the book. I recently saw the new “Gotti” movie with Travolta. 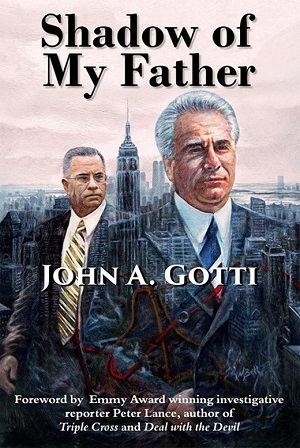 If John Jr. was an advisor on production, them I feel it was a 100% accurate display of life for Sr, the Gotti family and of course John Jr. Look forward to the read. Watched a special about you and was very impressed with your intelligence, sincerity and your affection for your family. I don’t know much about your past but you seem to be a good person now, not that you haven’t always been. God bless you and your family. I’m in the middle of reading your book and I must say it is a compelling read. What disturbed me the most was what was done to your father in his last days. I’ve been a caregiver for 30 years, and I found it appalling that a human being could be treated so callously. I’m glad you were able to get out of the Life.